A concussion is where the brain makes a sudden impact with the inside of the skull cause the brain to be slightly damaged. This can have multiple repercussions to your health. With a concussion most any outside part of the brain can be affected as long as it can come in contact with the inside of the skull. Your vision and coordination can also be affected but that is mostly depending on where you injure your brain and what parts individually are affected. When you have a Concussion. The brain controls everything you do. So naturally when its injured your body may not work right. When you have a concussion parts of the brain that were injured and controller certain things don't operate properly like vision or your balance. This is why its best to rest when you have a concussion as not to put any strain on the brain. Any one of any age can get a concussion however some demographics will get it them more often and more severe. Th most common group of people are girls in high school or collage sports. A 2007 study shows that girls have a higher concussion rate by 68%. 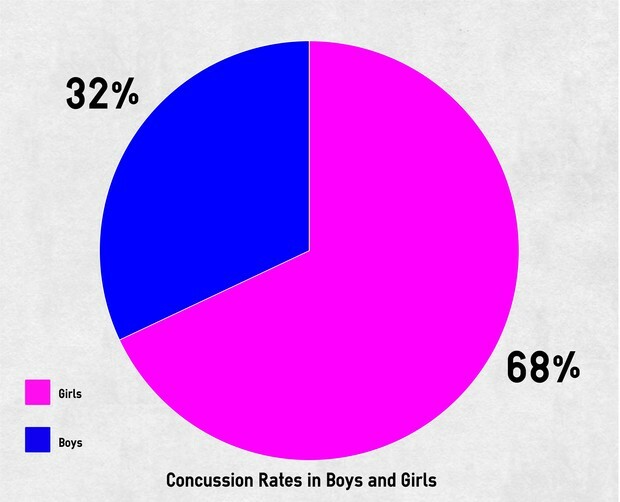 A study in 2011 also found that the number of high school girls getting concussions was double the amount of boys. Concussions occur when an outside area of the brain (usually the front and back) collide or make impact with the inside of the skull. This most commonly takes place when the head is hit or stops suddenly. The highest contributing factor to concussions is sports, more specifically football and soccer. Concussions are diagnosed by testing your balance, vision, strength and then comparing them to your previous or an average. If your test was lower that your previous scores or the average score they might continue further testing or diagnose a concussion at that time. Concussion require the brain to contently rest. This may take weeks or even months. People with concussions are advised not to look at screens or bright lights for a while. The brain also requires sleep and minimum physical activity. Almost no one dies from a concussion but it can cause the victim to not engage in physical activity. Multiple concussions over a small span of time can result in the patient not playing sports for for 3-4 years.